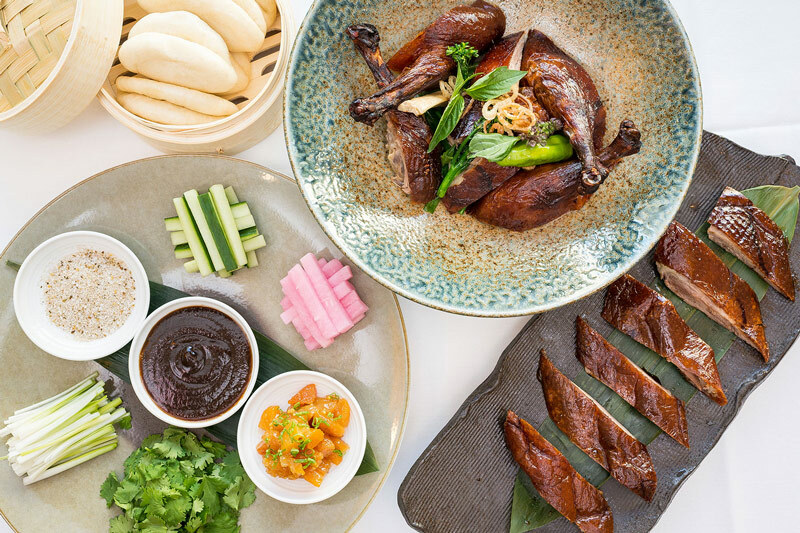 You’re in for a treat at any of these accolade-accruing eateries in the nation’s capital. As you may have heard, DC’s dining scene has arrived. 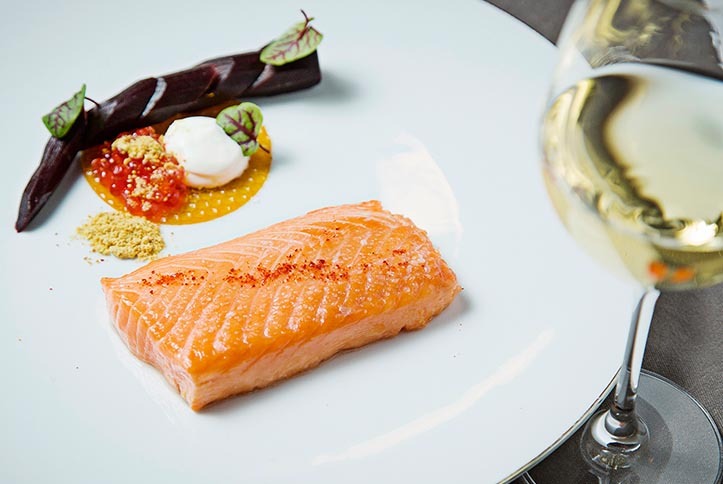 in addition to the city's Michelin Guide, there are numerous award-winning restaurants that require your attention. Accolades include Bib Gourmand or star-status in the aforementioned guide, James Beard Awards, RAMMY Awards (honors handed out by the Restaurant Association Metropolitan Washington for local dining excellence) and recognition from reputable publications Bon Appétit, which named DC its restaurant city of the year for 2016, and Zagat, which named the District hottest food city for 2016. The accolades continue to pile up for one of DC’s most popular culinary personalities. José Andrés was named Outstanding Chef by the James Beard Foundation in 2011 for his exceptional work at minibar, which was also deemed two-star worthy in DC’s first Michelin Guide, Formal Fine Dining Restaurant of the Year at the 2017 RAMMYS and was named Service Program of the Year in 2018. Andrés and his wife, Patricia Fernandez de la Cruz, were honored with the 2018 RAMMYS Exceptional Leadership & Impact Award for their contributions to the DC region as well as their humanitarian relief efforts in Puerto Rico. To go with those honors, four other Andrés creations were named as Bib Gourmands: Jaleo, Zaytinya, China Chilcano and Oyamel. So it’s safe to say that when you eat with José, you’re bound to be amazed (yes, we wanted that to rhyme). 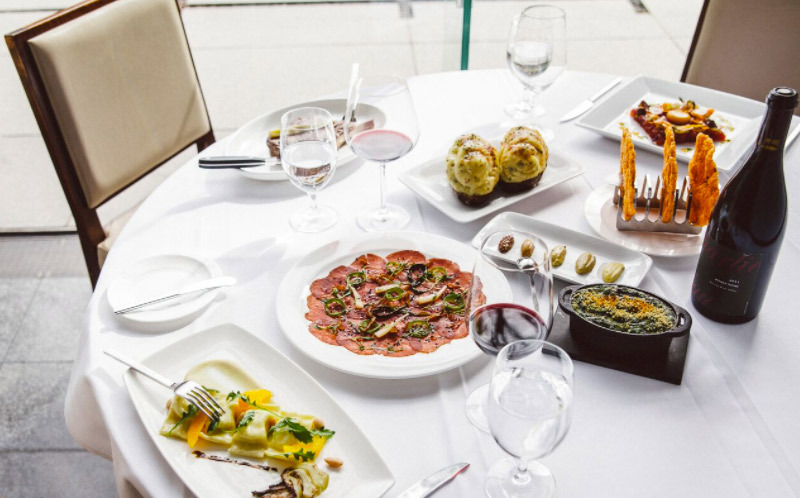 Located in CityCenterDC, Centrolina is part food market, part restaurant, home to the mastery of RAMMYS 2018 Chef of the Year Amy Brandwein and her take on regional Italian cuisine. The small, yet thoughtful, seasonal menu relies on fresh local ingredients to transport diners on a culinary journey across the Italian peninsula. Expect pastas made in-house daily and wood-fired meat and fish. 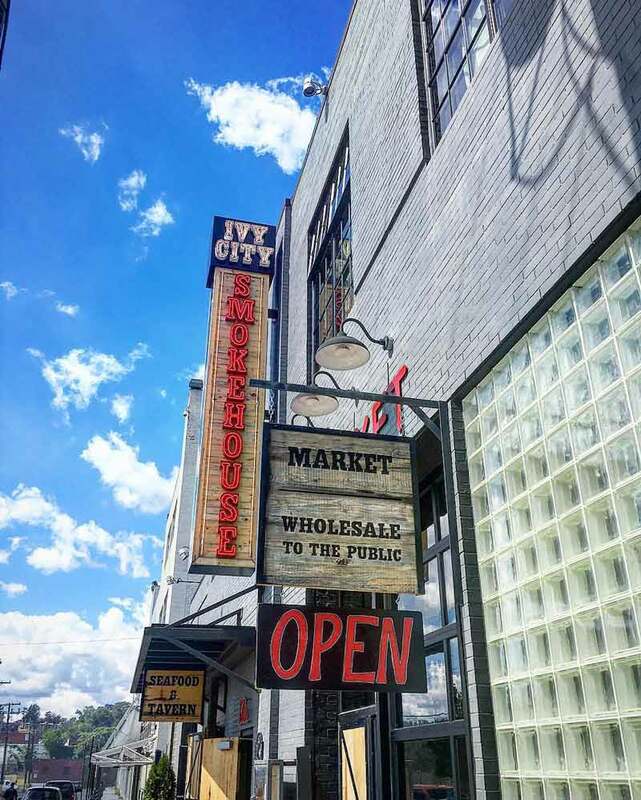 The mouthwatering scent of savory smoked fish and meat emanates at all hours from the Tavern at Ivy City Smokehouse, making this Michelin Guide Bib Gourmand recipient a must visit. The neighborhood restaurant and bar is a hit with locals, as it was named Casual Restaurant of the Year at the 2018 RAMMYS. Get all fine-dined at Marcel’s, a French-Belgian restaurant that has been coated in accolades for both its food and its chef since it opened back in 1999. Chef Robert Wiedmaier was named Chef of the Year at the 2009 RAMMYS, and while that may seem like a while ago, Marcel’s was named Formal Fine Dining Restaurant of the Year at the 2016 RAMMYS, so it’s still going strong. So is its amazing boudin blanc. 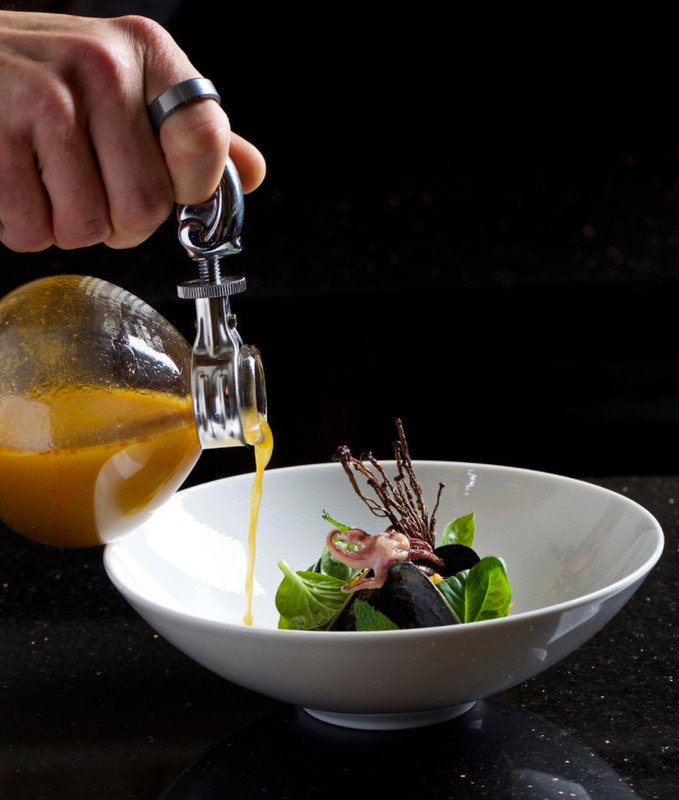 Across from the Walter E. Washington Convention Center, Chef Eric Ziebold has formed a wholly distinctive menu at Kinship, one that has earned the buzzworthy abode a star in the Michelin Guide. Split into Craft, History, Ingredients and Indulgence, Ziebold takes you on a journey through cuisine. The chef cut his teeth at a Michelin three-star restaurant under Thomas Keller, which shows in the creative expertise of Kinship. His adjacent French-themed tasting menu restaurant, Métier, also deserves consideration. Chef Aaron Silverman is officially a DC dining superstar. For his incredible work at Rose’s Luxury, Silverman won Best Chef: Mid-Atlantic at the 2016 James Beard Awards. 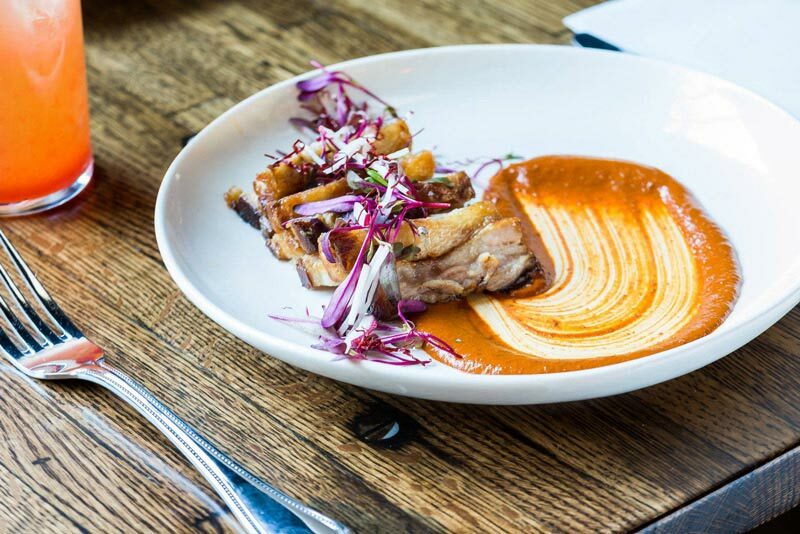 The no-reservations neighborhood eatery has been making waves since opening in 2014, when it was designated as the Best New Restaurant in America by Bon Appétit, and Rose’s recently received a star rating in the Michelin Guide. Silverman’s second locale, Pineapple and Pearls, features one of the best fine dining experiences in the District, evidenced by its two-star rating from Michelin. The name of this Capitol Hill locale almost says it all. Bold, artisan cuts of beef are the calling card of Charlie Palmer Steak, in addition to locally sourced seafood like Chesapeake Bay oysters and soft-shell crabs. But don’t stop there: the restaurant’s wine list is first-class, reflected in its award for Wine Program of the Year at the 2017 RAMMYS. 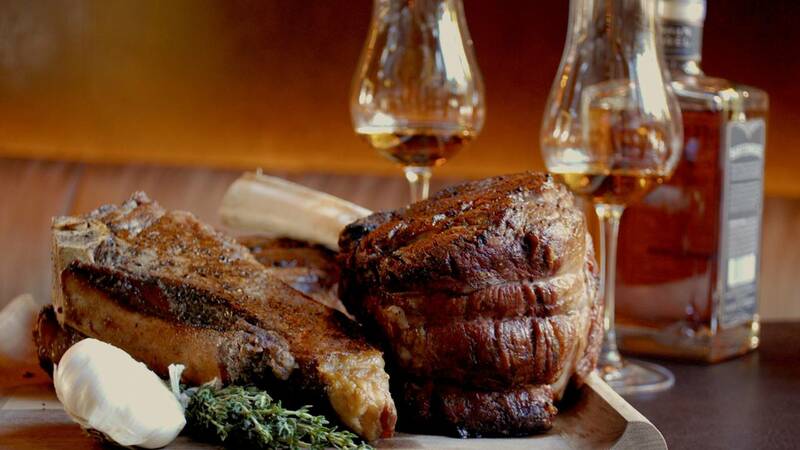 In summary, Charlie Palmer Steak has all the necessary ingredients for a fantastic meal. 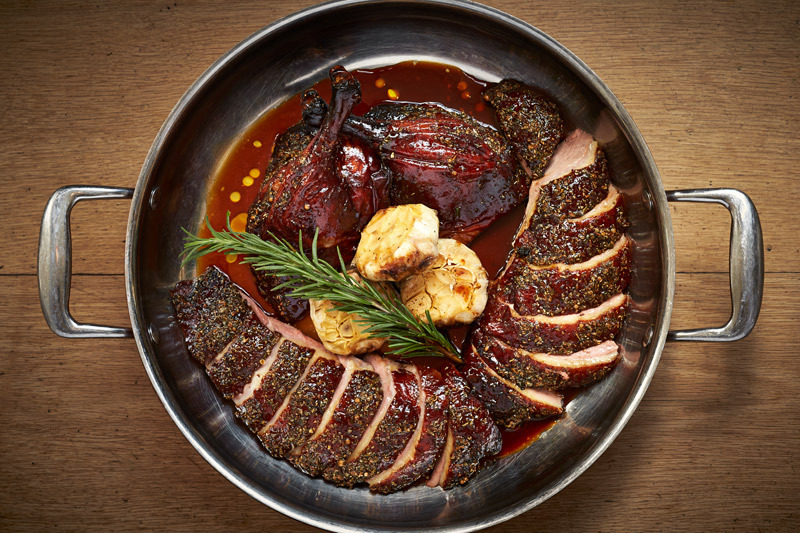 Situated in the Park Hyatt Washington, the Blue Duck Tavern features exquisitely cooked seasonal fare. 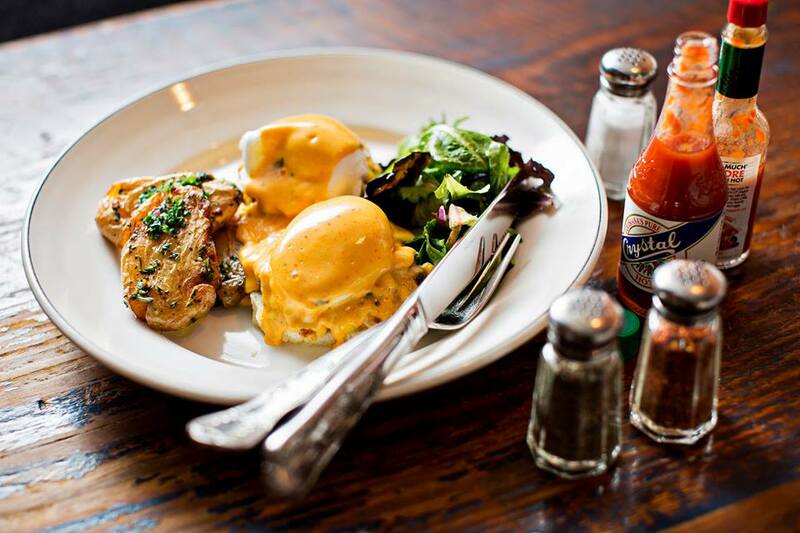 If you’re in need of a brunch spot, the Tavern should be a go-to: the eatery took home the award for best Upscale Casual Brunch at the 2016 RAMMYS. The restaurant’s consistent excellence also led to a star rating from the Michelin Guide. Step inside to enjoy its open kitchen and wood-burning oven, and you’ll want to end each meal with the delicious apple pie. Plume's German-born toque, Ralf Schlegel, isn't the first master chef in his family to earn a Michelin star, but he's the first to do so on American soil. The classically trained Schlegel executes his European-inspired dishes to perfection, something best experienced off the prix-fixe menu. The restaurant is located inside The Jefferson Hotel, one of the most historic in the District, and a fitting setting for Schlegel’s dynamic cooking. 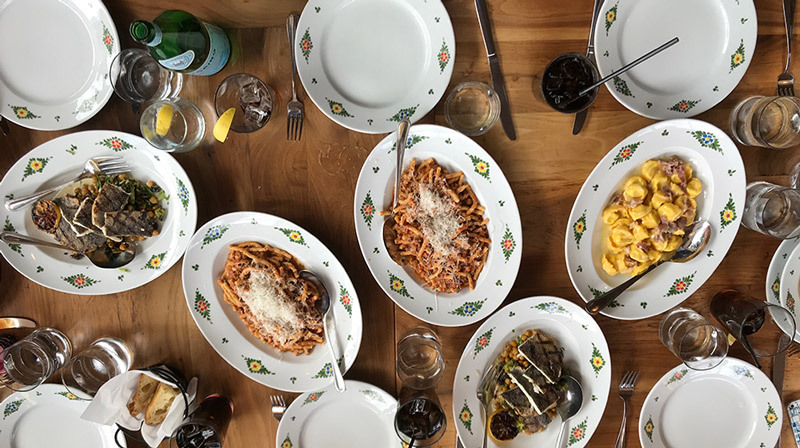 Situated near Yards Park in Capitol Riverfront, Osteria Morini is a rustic escape to the Emilia-Romagna region of Italy. Sure, you can take in the ragus, pastas and affordable wines, but it’s time to expose your taste buds to their wonderful brunch creations. Chef Michael White's two- and three-course brunch menu – home to dishes like the housemade brioche with duck confit and pistachio pesto – was named Upscale Brunch of the Year at the 2018 RAMMYS. This cozy neighborhood locale has been raking in accolades, from winning Wine Program of the Year at the 2016 RAMMYS to its recent designation as a Bib Gourmand in the Michelin Guide. A woodfire-powered kitchen, bucolic decor and a menu filled with Italian favorites such as mezze rigatoni with fennel sausage ragu and squid ink linguini make The Red Hen a must-visit during your culinary journey through the District. Masa, mole and mezcal. These are the three M’s of southern Mexican cuisine that Espita Mezcaleria abides by. This restaurant, owned by master mezcalier (yes, that’s a thing) Josh Phillips, has made quite the splash in the Shaw dining scene and received the award for Cocktail Program of the Year at the 2018 RAMMYS. Logan Circle is home to Pearl Dive Oyster Palace, which serves up some of the best oysters in the District and one of the city’s best brunches as well. Need proof? Pearl Dive was designated as a Bib Gourmand by the Michelin Guide and has received RAMMYS for best Everyday Casual Brunch (2016) and Favorite Gathering Place of the Year (2017). The interior is decorated with relics from America’s past, suitable as you barrel through oyster spreads sourced from both the East and West Coasts. Although this Michael Mina restaurant’s specialty is right there in the name, it’s far from a one-trick pony: its impressive drink offerings won it Wine Program of the Year at the 2018 RAMMYS and Cocktail Program of the Year at the 2015 RAMMYS. While you dine on a T-Bone steak, sip a vintage vino or get experimental with a drink like the Hairy Chest (vodka, habanero, pineapple, fresh lime). 555 beers. That should be the leadoff to any conversation regarding Birch & Barley and its upstairs partner, ChurchKey, located on the vibrant 14th Street. After that number is thrown at you, it’s evident why the location won the 2015 RAMMY for Beer Program of the Year. Birch & Barley also provides an exciting, upscale dining experience, with a menu sporting locally sourced ingredients, informed by the flavors comprising beer sommelier Greg Engert’s immaculately curated beer list. Chef Nicholas Stefanelli’s Michelin-starred Masseria presents an unforgettable dining experience in the midst of the bustling Union Market. With a menu consisting of three to six courses, each plate is equipped with loads of Italian flavor and pristine culinary style. Stefanelli’s menu guides you along the Italian coast, showcasing classic pastas, seafood and rare meat dishes like rabbit and squab. All of this, and more, is why Masseria was named Formal Fine Dining Restaurant of the Year at the 2018 RAMMYS. Dessert is a treat, too: Masseria's Jemil Gadea won the 2017 RAMMY Award for Pastry Chef of the Year. Located next to the Newseum, The Source by Wolfgang Puck is a popular gathering spot filled with sophistication. Alluring decor is combined with Puck’s innovative take on Asian dishes, which includes the very famous and satisfying wonton soup. You can also expect to leave with a smile: The Source won the 2017 RAMMY for Service Program of the Year. Considered one of the finest Indian restaurants in the United States, Rasika has been a feather in DC’s dining cap since opening in 2005. Its sister restaurant, Rasika West End, opened in 2012 to similar acclaim. Chef Vikram Sunderam is a master in the kitchen, a notion validated when he was named Best Chef: Mid-Atlantic by the James Beard Foundation in 2014 (an award he had been nominated for three times before). You’re lucky: you can witness Sunderam’s distinctive cooking at two Rasika locations, as well as Indian street food hot spot Bindaas, in the District.